This is a quick, Southern go-to lunch item. A lot of Southern cooks keep a batch of pimento cheese ready in the refrigerator—just in case somebody drops by around lunchtime. 1. Finely shred half of cheddar block into a large bowl. Do not use pre-shredded cheese which contains too much moisture. I slice the block into sections and use a handheld rotary shredder. I got mine at Target. My aunt is still using the shredder she bought in France sixty years ago. 4. Refrigerate. 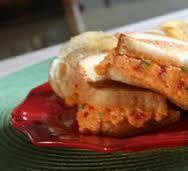 Spread onto bread for sandwiches (the traditional Southern way) or use crackers. A flavorful Southwest version might include adding some cayenne and jalapenos. For more recipes and behind the scene photos of Beneath a Navajo Moon, visit http://www.pinterest.com/lisacoxcarter/beneath-a-navajo-moon/. 1. 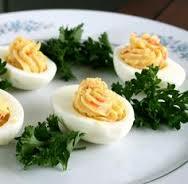 Boil eggs in with with a dash of salt 15-20 minutes. 2. Let eggs cool. Crack and peel eggs. 3. Slice eggs in half lengthwise. 4. Scoop out yolk onto plate and mash with a fork till lumps are out and yolks are blended. 5. Add salt and pepper to taste. Add mayo (1/3 cup???) I add till it “looks right”. 6. Add mustard ( 1 Tbsp????) You know what I’m going to say here, right? This is how I was taught to cook by the best Southern cooks I know. Until reaching desired color and texture. 7. Spoon into egg whites. 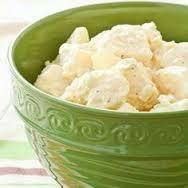 Southerners eat this at all social gatherings year-round. It’s about as de rigueur as sweet tea. Sweet mercy . . .
1. Beat butter and brown sugar in large bowl until fluffy. Add corn syrup and egg; mix well. 2. 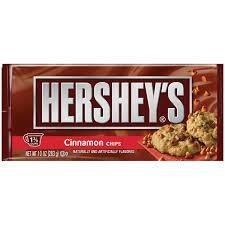 Place 1 cup cinnamon chips in microwave-safe bowl. Microwave at MEDIUM (50%) 1 minute; stir. If necessary, microwave at MEDIUM an additional 15 seconds at a time, stirring after each heating, just until chips are melted when stirred. Stir melted chips into butter mixture. 3. Stir together flour, baking soda and salt; add to cinnamon chips mixture, beating just until blended. Cover; refrigerate dough about 1 hour or until firm enough to handle. 4. Heat oven to 350°F. Shape dough into 1-inch balls; roll in nuts, lightly pressing nuts into dough. Place on ungreased cookie sheet. 5. Bake 8 to 10 minutes or until golden around edges. Cool slightly; remove from cookie sheet to wire rack. Cool completely. Makes about 5 dozen cookies. For more recipes and behind the scene photos of Beyond the Cherokee Trail visit https://www.pinterest.com/lisacoxcarter/beyond-the-cherokee-trail/. 1. With a fork, mix first 4 ingredients. In a separate dish, beat remaining ingredients. Combine the 2 mixtures, stirring with a fork till all ingredients are moistened. 2. Mold dough into a ball. Chill at least 15 minutes before rolling into desired shape. Dough can be left in the refrigerator up to 3 days or frozen until ready to use. Divide into 4 dough balls. 3. 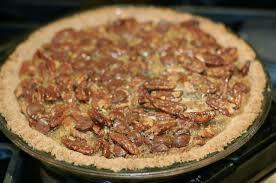 Roll out one ball for crust of pecan pie. 1. Spray medium-sized cooking pot with cooking spray. Combine butter, sugar, and corn syrup in pot. 2. Cook on low heat; be sure sugar dissolves. Stir constantly. 3. Cool mixture slightly. Add eggs, vanilla, and salt. Mix well. 4. Pour into pie shell and top with pecan halves. Bake 325 degrees for 50-55 minutes. 5. Serve warm or cold. 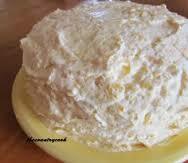 Many Southerners top with whipped cream or ice cream. For more recipes and behind-the-scene photos from Beneath a Navajo Moon, visit http://www.pinterest.com/lisacoxcarter/beneath-a-navajo-moon/. I love this cover and I’m giving away an autographed ARC (Advanced Reader Copy) of Beneath a Navajo Moon. This Goodreads giveaway ends Wednesday. Tell your friends. Enter for a chance to win. Ever wonder how mystery authors devise those intricate whodunits? 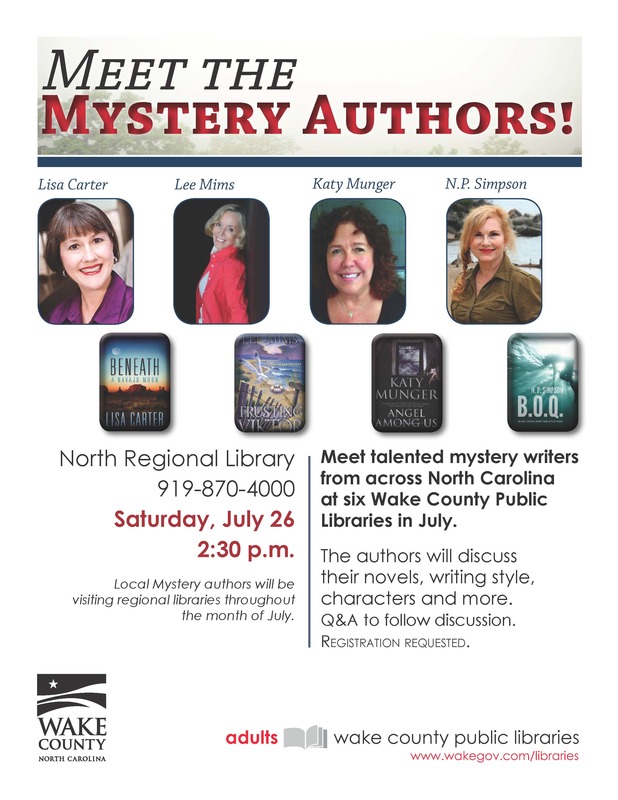 Join me and 5 other NC authors as we delve into the mindset of a mystery author. 1. Boil potatoes and cut into cubes after cooling. 2. Mix remaining ingredients. I may use more or less mayo. I eyeball it for the creamy consistency I prefer. 3. Add potatoes. Cover and refrigerate 4 hours. 4. Where I come from in NC, we prefer our potato salad to have a yellow color and so add mustard more or less to listed amount per personal preferences. There’s sweet tea and then there’s Southern sweet tea. Forget the powdered stuff. Unless you enjoy watching Southerners of every race and creed gag. About to share a regional secret with ya’ll. Pay attention. My Mama and I brew ours through a Mr. Coffee. My Aunt Grace boils her water on the stovetop and lets the tea bags steep. But the key? The key is putting the sugar in while the liquid is still hot. The first tea plantations in the United States originated in 1795, just a decade after the American Revolution and were located in South Carolina. A few are still available for tour. Bigelow’s is outside Charleston. 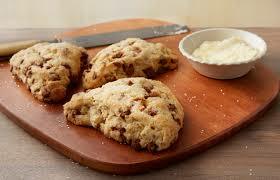 The first published sweet tea recipe is found in Housekeeping in Old Virginia by Marion Cabell Tyree in 1879. Green tea was the beverage of choice for iced tea until World War II cut off imports from Asia and Americans made the switch to black tea imported from India—still a British colony at the time. Southerners take sweet tea very seriously. In 2003 as an April Fool’s joke—or not—the Georgia legislature introduced a bill that would have made it a misdemeanor for restaurants not to offer sweet tea. And any guesses why Southerners drink iced tea versus the hot tea the rest of Americans enjoy? This is not a trick question. 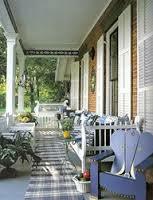 In the movie, Steel Magnolias, any one remember which character declared sweet tea to be the “house wine of the South”? Not all tea is created equal. We have our family favorites. Some choose Luzianne because it’s made specifically for iced tea. Others prefer Tetley or Lipton. But remember, buy quality tea. Sweet tea whether you be a southern belle, hillbilly or swamp rat is serious business. In terms of bag size and quantities, it’s really a matter of personal preference. As for loose tea? I’ve heard tell some may have tried it. Some people try a lot of things, like diet soda and chocolate-covered grasshoppers. But can’t say that I’d recommend it. Do not—I repeat—do not boil the tea bags unless you’re filtering them through a coffeemaker. Boil the water. Turn off the stove and allow the bags to steep. Boiling tea bags results in singed, bitter tea and a big mess if the tea bags burst. Steep no longer than 15 minutes—you may have to experiment with this to get the right strength according to your personal preference. The longer they sit, the more bitter your brew will be. Pour 1-2 cups of sugar in the bottom of your gallon pitcher. Again, this is according to preference. I’ve seen spoons standing fully upright in the stuff. Stir the tea until the sugar dissolves. Then add enough tap water to make a full gallon. Serve cold with ice. Kick back on the porch, sip, and enjoy the firefly show. Bring the water to a boil, and add to a gallon pitcher containing the tea bags. Let the teabags steep about 5 minutes. Remove the tea bags (squeeze the remaining tea out of them into the pitcher), stir in sugar while tea is still hot and top off the pitcher with cold water. Stir again and refrigerate. Serve with lemon or mint. Anyone know what Southerners call a half-tea/half lemonade beverage? What’s your favorite twist on sweet tea? 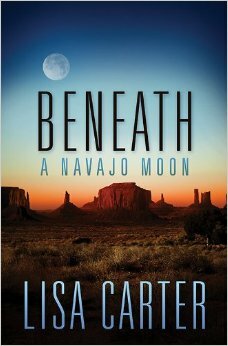 For behind-the-scene photos from Beneath a Navajo Moon, visit http://www.pinterest.com/lisacoxcarter/beneath-a-navajo-moon/. Immerse yourself in the English words, bask in the Navajo sounds, enjoy the photos in this 4 minute #video. Happy Mother’s Day to all American mothers. Similar to Southern pineapple cake—as the name implies, a favorite dessert to serve at a barbecue (pig-pickin’ which is exactly what it sounds like). Barbeque in the Southern sense is always a noun, never a verb. Makes 3 layers. Mix cake according to box directions, adding mandarin oranges. Bake 20 minutes at 350 degrees. Sprinkle instant pudding over pineapple and mix. Sir in Cool Whip. 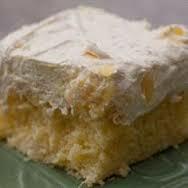 Pineapple juice may be reserved and spread over layers before icing if desired but this make it very wet with a tendency to fall apart, although this version is very good and moist.